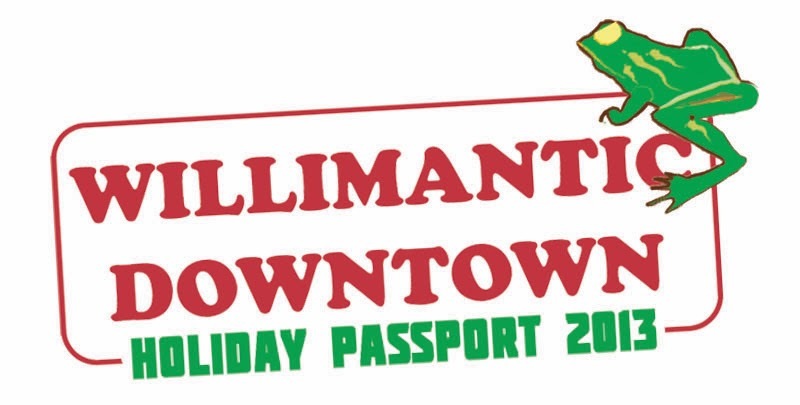 Thread City Development's Holiday Passport may be what helps you do a little extra holiday shopping in Willimantic Downtown! Have it validated by at least 10 participating merchants. Fill in your information and drop off your completed passport at either the Willimantic Food Co-op or Liberty Bank's Main Street branch by 2 pm on 12/20/2013. 2. A $100 gift card to the Willimantic Food Co-op courtesy of Design Center East. 3. A $50 Gift Card to Willard’s.